Last Saturday the cream of the crop of the VR world gathered in Hollywood, Los Angeles for the third annual Proto Awards. During this prestigious awards ceremony the Virtual Reality Foundation rewards individuals and teams making strides in the exciting field of virtual reality. We are over the moon that proud FLEGA member I-Illusions was the big winner of the evening. Space Pirate Trainer managed to bag no less than THREE prestigious awards. They return to Belgium with the trophies for Best Sound Design, Best Independent Experience and even Best Game, beating out stiff competition from Epic Games and Crytek. It’s an amazing accomplishment for the team and a real boost for the Belgian games industry. Congratulations! 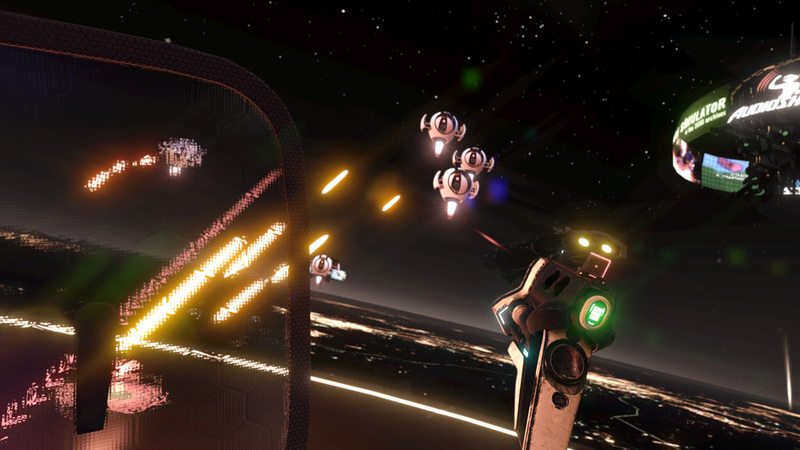 Space Pirate Trainer puts you in the middle of an 80’s arcade shoot ’em up. Congratulations to the team once again! The full list of winners can be found here.